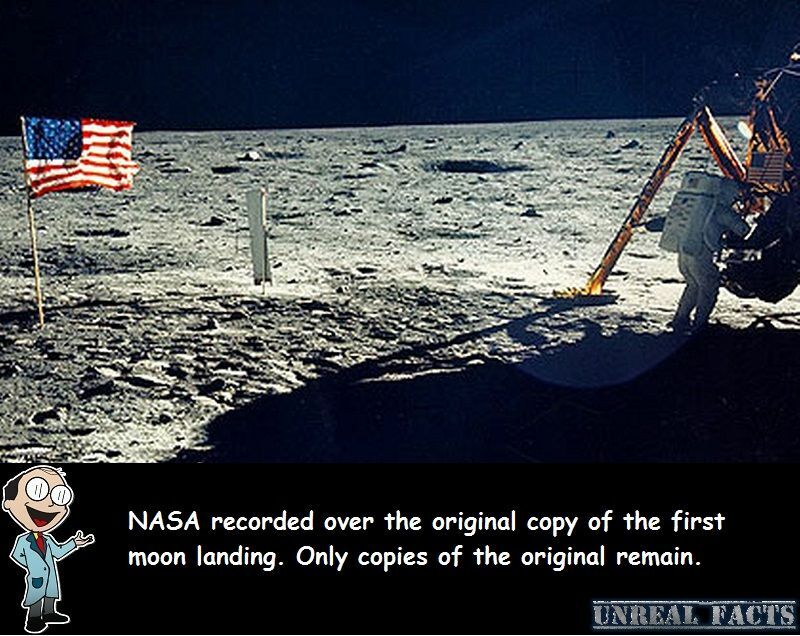 NASA admitted in 2006 that they could not locate the authentic video copy of the July 20, 1969, Moon landing. Since then, Richard Nafzger, an engineer at NASA’s Goddard Space Flight Center has figured out what happened to the original recordings of the moon landing, they got erased. The historical recording was part 200,000 tapes that were degaussed — magnetically erased — and re-used to save money. ‘These satellites were suddenly using tapes seven days a week, 24 hours a day,’ said Stan Lebar, the designer of lunar video camera used by Armstrong, and one of the team involved in the search for the tapes. ‘So I don’t believe that the tapes exist today at all. It was a hard thing to accept. Never fear, NASA has found other replicas of the moon landing in the CBS and Johnson Space Center vault and has had them digitally enhanced. California-based company Lowry, best known for restoring old Hollywood films, has been digitizing these along with some other bits and pieces to make a new rendering of the original landing. This will refuel the conspiracy theories that the entire lunar program that landed people on the moon six times between 1969 and 1972 was staged on a movie set or secret military base.